Africa needs inclusive, citizen-centric national security strategies, that account for the complex threats facing Africa today. Few African countries have an official national security strategy. This is in part because the models and concepts of national security elsewhere are not always readily applicable on the continent. For instance, while most national security strategies are entirely externally oriented, many African countries’ most serious security threats are internal. These societally based security challenges often involve non-state actors rather than conventional military forces. Moreover, the concept of security is often defined in terms of regime survival. As such, the state security apparatus has been organized to protect the regime and not necessarily its citizens. A different model is required for the contemporary African security environment. This model frames security in more inclusive terms, places the citizen at the center of the state, and takes into account the complex nature of threats facing the African continent. To better understand these dynamics, Assis Malaquias, Professor of Defense Economics and Resource Management at the Africa Center for Strategic Studies, reflects on the current state of national security strategies on the continent and offers some insights and key lessons. Question: Why do some African countries have official national security strategies and not others? Malaquias: Unfortunately, in many African contexts the concept of national security is viewed as the preserve of a small cadre of security experts and government leaders. This narrow approach is antithetical to the notion of citizen security. Those countries that have been able to bring state security and citizen security together have made better progress in generating meaningful national security strategy guidance. Photo: ER24 EMS (Pty) Ltd. The South African experience is instructive. During apartheid, the government’s security policy documents were not citizen-centric. But since 1994, the country has had a national security strategy that is constantly reviewed and updated. 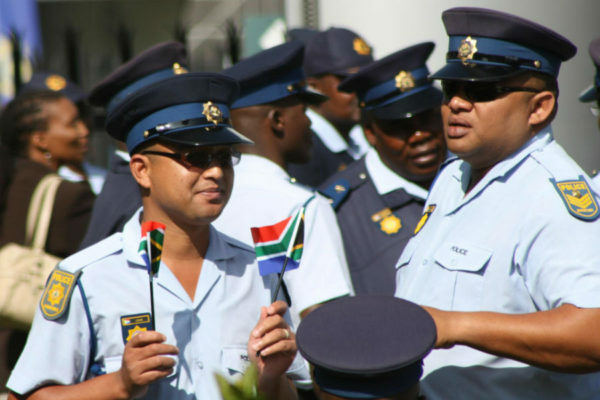 The difference in the post-apartheid era is stark because security has been conceptualized in ways that place citizens at the center of the security paradigm and the larger framework of democratic and constitutional reforms, institutional designs, and norms. By contrast, countries that define security in the narrow terms of regime survival, while emphasizing only the military element of national power, seldom have the incentive and political will to craft national strategies that encompass the broader dimensions of security. Besides, the process of national security strategy development is transparent both in design and actual content. Likewise, if national leaders consider security to be the purview of the state, then security strategies, if they exist, will not be published. This seriously undermines the ability of many African countries to respond to threats and realize opportunities because the preoccupation with regime security and overreliance on the military instrument blinds them to other security challenges within a society. Q: To what extent have African countries embraced the broader concept of citizen security? Malaquias: This process has been slow and fraught with significant resistance. A lot of pedagogical work will be required to expand national debates in ways that reframe national security along more inclusive parameters that place the citizen at the center. If protecting citizens is the purpose of a strategy, then citizens must be part of the process. Be that as it may, the vast majority of Africans still think of security in terms of the military dimension and rarely appreciate the role of the individual. In day-to-day encounters with security agents, citizens often believe that the police, gendarmerie, or military will employ force to provide security. Furthermore, in too many cases, uniformed personnel are primarily used to quell dissent and neutralize opponents, thereby creating a climate of fear and mistrust. This then leads to a scenario where the uniform is seen as a source of insecurity, and those who wield the coercive machinery are not viewed as civil servants, but as enforcers. The key question that should frame international engagement is, whose security? The process of developing a national security strategy should therefore pay close attention to the manner in which power is exercised by the ruling authorities, the nature of the relationship between security agencies and citizens, and the level of political will for inclusion. The issue to note is that a national security strategy should be an embodiment of the aspiration of citizens and must support larger economic and development objectives. Such thinking is still new, much of it less than a decade old. As such, it will take time to develop fully. Q: What are some noteworthy cases? Malaquias: In Liberia, Sierra Leone, and South Africa, the concept of security was put into a citizen-centric framework that was embedded in comprehensive reform, transitional justice, and a strong commitment to democratic transformation and reconstruction. Mauritius, one of the continent’s strongest democracies, has institutionalized the design of inclusive national security strategies that are routinely updated in response to global and regional developments and popular expectations and needs. South Africa stands out in three areas. First, the defense establishment, national security scholars outside government, and civil society engaged in public debates that brought the concept of security in line with the post-apartheid democracy and reconciliation agenda. Second, mechanisms were created to promote popular participation and input at every stage in the strategy development process. Third, a comprehensive Defense Review was instituted as a mechanism for updating the national security strategy in line with the changing environment. The first one was conducted in 1998 and included three national consultative conferences, two rounds of regional workshops held in each of South Africa’s nine provinces, and over 90 submissions by interested parties such churches, NGOs, and community leaders. This process has become standard practice for the development of national policies in South Africa and has served to popularize national debates on security and created consensus across the public, executive branch, and legislature that eased resource allocation. It also created an enabling environment for national security–focused NGOs, many of which have been called on to draft sections of national security documents. National security has many dimensions—economic, social, environmental, diplomatic, digital, and developmental, among others. … A good national security strategy balances threats and opportunities. A key lesson from the South African experience is that the concept of security was redefined and formalized into actual documents. The citizen was placed at the center of the state. Government institutions, in turn, were reoriented to serve citizens and not to oppress, as was the case during apartheid. As a result, the state and citizen in the South African context tend to see each other in a complementary way. The citizens frequently protest disagreeable government actions but they view the state as theirs. This is a fundamental shift in state-civil society relations that has supported a larger culture of inclusive and participatory strategy making. Q: How can national ownership over the national security strategy development process be developed? Malaquias: Too often, external partners focus on working with government institutions to develop national security strategies because states naturally find it much easier to work with other states through established institutions. It is much more difficult to work directly with citizens and civil society given the complexities involved and the diversity of civil society actors. The key question that should frame international engagement is, whose security? If the strategy is defined by the regime, then ultimately the final product will lack true public ownership and will mostly reflect external perspectives. If the goal is to realize a more inclusive national security strategy, such as those that have been developed in Mauritius, Sierra Leone, Botswana, and South Africa, then the citizen must be at the center of the process. At the end of the day, a national security strategy should be viewed as an “echo chamber” for citizens’ voices and consensus building. The actual document in this sense is nothing more than a distillation of the popular will. The role of the presidency is not to write the document and dictate how it should be executed. Rather, it is to anchor the national security strategy on the security priorities that citizens desire their government to address. This consultative process never really ends because the strategy must be updated regularly. Ownership is also closely tied to the institutions that partake in the national security strategy process. If the process does not include all the agencies expected to implement it then it will not have buy-in. Likewise, if parliament is not involved, the appropriations process to adopt the strategy may not have support. Q: What role should regional and international actors play in national security strategy development? Malaquias: Designing a comprehensive national security strategy is a complex undertaking. National security has many dimensions—economic, social, environmental, diplomatic, digital, and developmental, among others. Furthermore, most national security strategies tend to be reactive, and therefore threat-based in orientation, as opposed to proactive and opportunity-based. A good national security strategy balances threats and opportunities. In so doing it captures both the reactive and proactive elements in an integrated fashion. External experts may prove useful in helping draw out these issues as well as the concept of inclusive and citizen-based security. While foreign partners can bring valuable technical expertise, their efforts should be closely coupled with local knowledge and ownership of the processes themselves. In this way, the national security strategy development process will yield not only a meaningful strategy but one that can be implemented and sustained over the years as well. 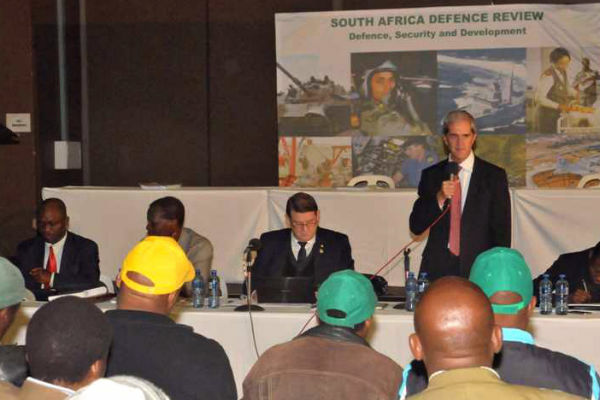 Helmoed Heitman, “Optimizing Africa’s Security Force Structures,” Africa Security Brief No. 13, Africa Center for Strategic Studies, May 31, 2011. Emile Ouédraogo, “Advancing Military Professionalism in Africa,” Research Paper No. 6, Africa Center for Strategic Studies, July 31, 2014. Paul Nantulya, “More Than a Technocratic Exercise: National Security Strategy Development in Africa,” Spotlight, Africa Center for Strategic Studies, May 31, 2016. Alan G. Stolberg, “How Nation States Craft National Security Strategy Documents,” Strategic Studies Institute, U.S. Army War College, October 2012. Rocky Williams,“Defence in a Democracy: The South African Defence Review and the Redefinition of the Parameters of the National Defence Debate,” in Rocky Williams, Gavin Cawthra, and Diane Abrahams, Ourselves to Know: Civil Military Relations and Defense Transformation in Southern Africa, Institute for Security Studies, August 2002. Osman Gbla,“Security Sector Reform in Sierra Leone,” Challenges to Security Sector Reform, Monograph 135, Institute for Security Studies, May 2007. Dan Henk,“The Botswana Defense Force: Evolution of a Professional African Military,” African Security Review, Volume 3, Number 4, Institute for Security Studies, 2004.